Two things that are rarely taught in tandem, outside of college elective courses, are Art and History, yet these two disciplines are inextricably linked. Art gives us a window to the minds of humans living in another time. Every detail can tell a story, from the subject and the setting to the style of a time period. Each of these things gives us hints as to what life, attitudes, and technology were like when those pieces were created. Art as old as ancient Egyptian hieroglyphs as well as that created in modern day can shed light on how humanity has evolved and provide a glimpse to human potential. Some might argue, if you don’t know the history – how can you create the future? 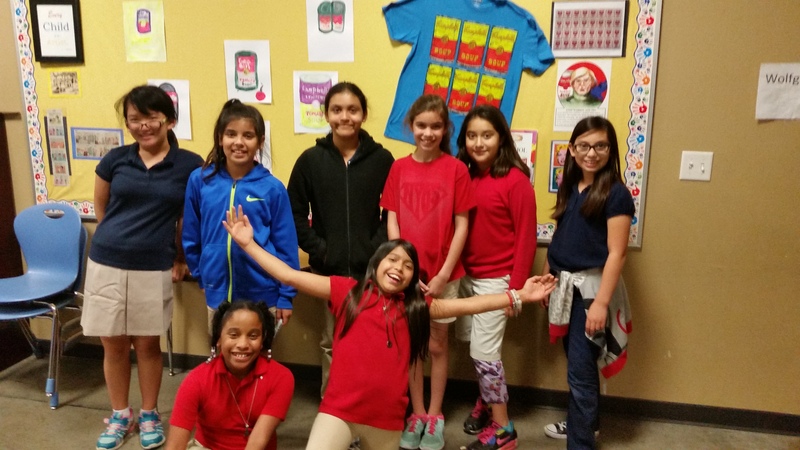 This important connection between human expression and history has inpired the educators at NYOS Charter School in Pflugerville, Texas, in the Art History Enrichment Club. According to the project team, the goal is for students to better understand how history and art are interwoven throughout the ages. 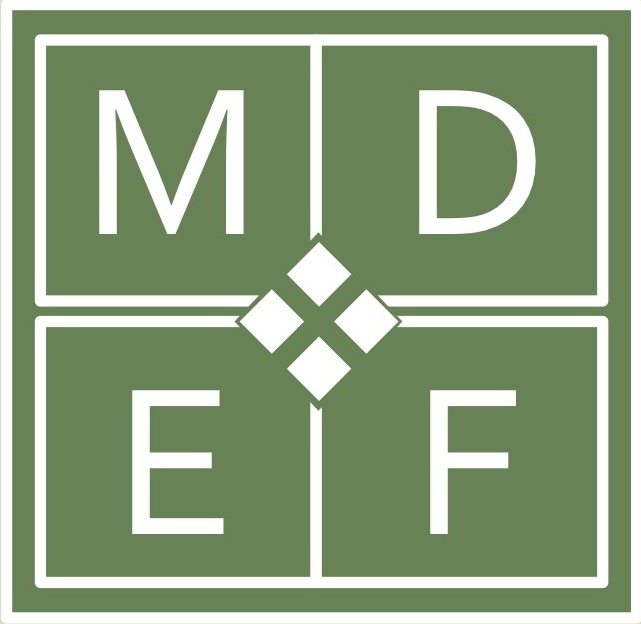 This understanding will allow students from all backgrounds to connect the art they studied to the community and world around them. By studying the craft of painting in a variety of techniques, they will not only grow as artists, but also make connections between advances in art, history and culture, from paintings in famous museums to those found in their local community. Students explore important connections between art and history in “Art History Enrichment Club” in a series of after school enrichment workshops and a field trip to the Blanton Art Museum in Austin, Texas. How does art history after school enrichment support cognitive and social skills in intermediate grades? The Art History Club was open to students in 4th and 5th grades. Students applied, with parent permission, and thirty of them decided to stay after school one day a week for an hour. This allowed the school to serve up to 20% of their student population. The classes were offered for 20 weeks and were capped off with a trip to the Blanton Art Museum in Austin, Texas. Not only did the project allow students of all backgrounds to connect with history and their communities, it also gave them a new visual language to identify styles and techniques. Research has shown that students who are enrolled in art programs increase cognitive and social skills that are then applied in daily classroom activities. Students shared what they were learning on an Art Board in a common area of the school. An important part of this enrichment program is that it wasn’t just passive observation. These students received hands on experience, so to speak. Not only did students see and study the art and varying techniques, they also put those lessons to the test. A weekly display of the information about an artist and the students work was also shared in a common area for all students to view. Additionally, there was an art show displaying student’s artwork open to the NYOS community. NYOS also has a collaborative relationship with local business. These business were able to display artwork allowing students to share their achievements with their local community. What other benefits came from this project? Students were able to share their art with friends and family at a school fine arts night. The students have discussed art throughout many historical periods and created pieces of artwork in many different styles in the after school program, every Thursday for an hour. 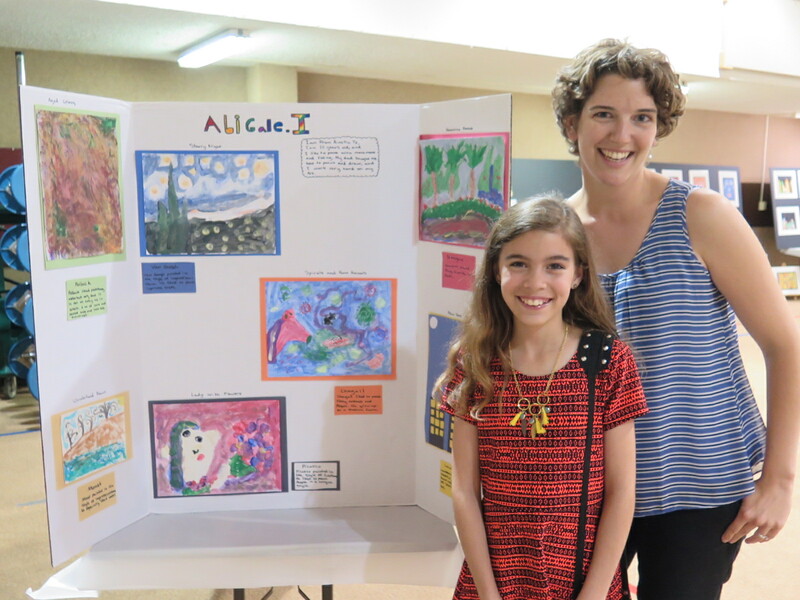 In April, students showcased their work at Fine Arts Night, and even the parents managed to learn a little something they didn’t know previously. 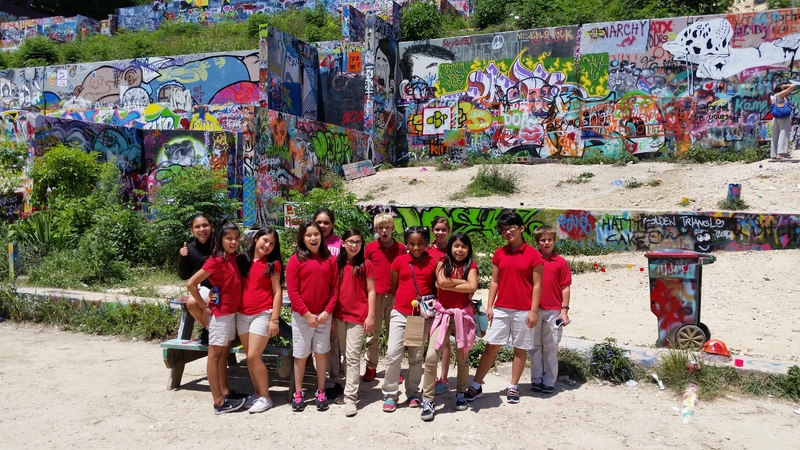 In the beginning of May they took the field trip to a local art museum and graffiti wall. A great contrast between fine and street art, and a great lesson about the importance and impact of both. As a direct result, students have become aware of how much art exists around them in the books they read, historical events they study, current events they hear about, and even in their social media feeds. This project is off to a strong start and continue to impress us at the McCarthey Dressman Education Foundation. Here’s to a few more years of making art and creating history! This entry was posted in Academic Enrichment, After School Programs, Arts Education and tagged humanities.